Faulkner Moulds, the 2016 ‘Toolmaker of the Year’, is offering a free budget price rapid quotation service at PDM this June (19-20 June at Telford International Centre). This follows the great success of this service offered by Faulkner Moulds at last year’s Interplas event. Simply bring your project details or sample to the Faulkner Moulds stand (A022) and meet the award-winning design and tool manufacturing team, who will provide you with a rapid quote on the day. The budget price will be calculated using advanced quotation software, developed in-house. Faulkner Moulds, based in West Yorkshire, won the prestigious 2016 Plastics Industry Award for Toolmaker of the Year and were finalists in 3 categories for the 2017 Plastics Industry Awards: Toolmaker of the Year, Industrial Product Design of the Year and Apprentice of the Year. With 35 years’ experience, Faulkner Moulds specialises in creating technically complex tooling solutions, designed for manufacture. For example, the award-winning Water and Rodent Non-Return Valve – shortlisted for Industrial Product Design of the Year – was designed and developed by Faulkner Moulds, who also created all of the mould tooling for it. This technically complex valve, which is a world first, is so innovative that a new British Standard was created just for it. As part of the company’s growth strategy, Faulkner Moulds has recently invested in a state-of-the-art high speed vertical 5-axis graphite and hard metal machining centre. The machine enables automation of the electrode manufacturing process and achievement of a repeatable accuracy of 2 microns. Alongside their spark erosion and other accurate machining technologies, the company has almost eliminated the fitting time required for each tool. Faulkner Moulds are also the first company in the UK to partner GF Machining Solutions and Agie Charmilles in developing software to integrate 5-axis electrode manufacture and CNC spark erosion through offline programming, to enable these machines to run 24 hours per day and automated. 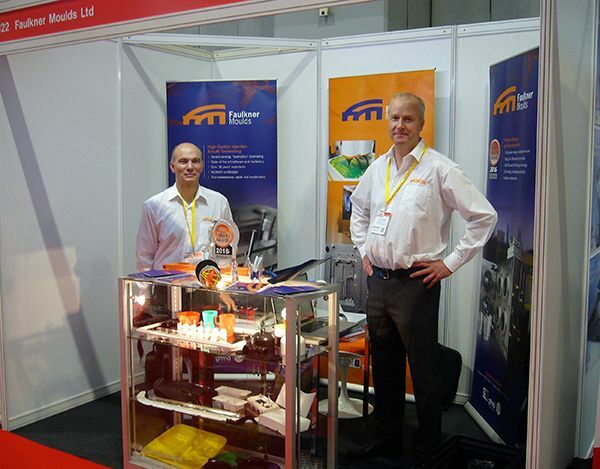 To find out more about Faulkner Moulds’ award-winning product design and mould tooling, or to discuss your project, visit them at PDM this June (stand A022).